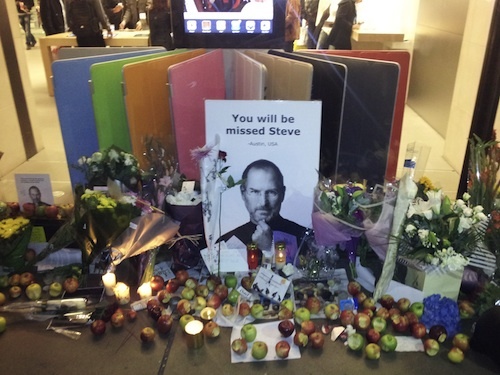 I am feeling quite emotional about the sad passing of Steve Jobs. I have previously been closely involved in the technical development of iPhone and so perhaps feel a more personal connection that extends beyond being an Apple fanboi. 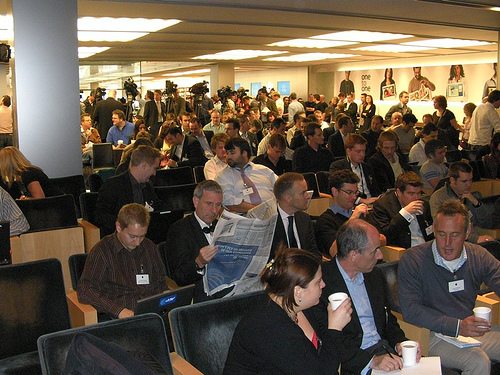 The closest I came to meeting the great man in person was at the ‘Mum is no longer the word‘ Apple press conference at the Regent Street store in London on 18th September 2007. I’m lurking in the crowd somewhere in the auditorium below! I’ll never forget the buzz of anticipation from the assembled hacks as Steve Jobs took to the stage to announce the exclusive partnership between Apple and O2 (to sell the original iPhone). This was the worst kept secret in the industry, but the excitement of Jobs coming to town to personally reveal the deal was palpable. I read the news of Jobs’ death this morning while checking the BBC News app on my touch-screen mobile phone. This is the type of information snacking that most smart phone users do habitually and now take totally for granted. The way we interact with mobile devices and consume mobile data has changed beyond all recognition since the original Apple iPhone launched in 2007. Jobs’ obsessive attention to detail in all aspects of Apple’s product development has made complicated technology accessible to all. iPhones, iPods and iPads have become ubiquitous, not just because of their technical capabilities but because they are beautifully simple to use. Jobs has left a lasting legacy of technological achievements, but his early death is also a reminder of the fragility of life. The man had an almost limitless supply of cash and arguably the most technologically inventive minds in the world at his disposal, but he could not buy his health. 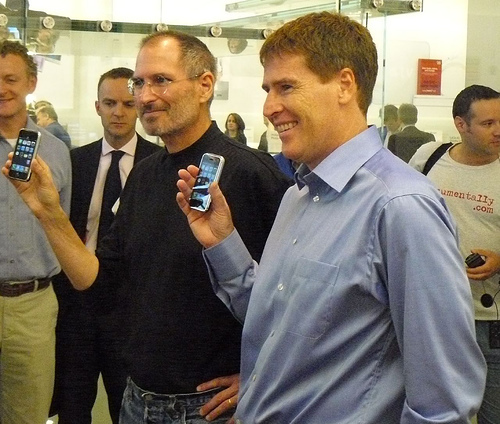 So long Steve – and thanks. This entry was posted in Apple, General and tagged Steve Jobs by djh. Bookmark the permalink.